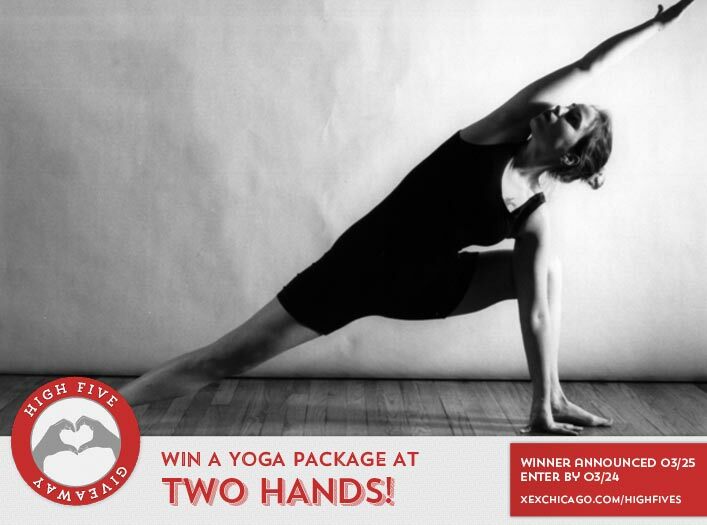 Win a Yoga Package at Two Hands Chiropractic & Acupuncture! Congratulations to Blessing Langford on winning our 153rd High Five Giveaway and thank you to all who entered! Our next giveaway is for a yoga package at Two Hands Chiropractic & Acupuncture. The package includes four yoga classes, which are held each Thursday evening. The total value is $56! Two Hands Chiropractic & Acupuncture, LLC offers compassionate, whole person, individualized health care in an upbeat and friendly environment. We confidently offer an expansive array of services, providing our patients with many ways to enhance their health and comfort. We treat patients with hands-on therapies and nutritional remedies as opposed to starting with prescription drugs or surgery. Two Hands is a place where you can unwind, laugh, and heal. Two Hands offers weekly yoga classes that are open to the public. Space can reserved in person prior to the classes or online at www.twohandsforhealth.com/yoga/. Two Hands Chiropractic & Acupuncture is located at 111 N. Wabash Ave., Suite 1414 Chicago. Learn more about their services at www.twohandsforhealth.com, give them a call at 312-634-0740, or email them at info@twohandsforhealth.com. How many dollars off do guys get on Mondays and women get on Tuesdays if you use our Facebook offer? Now, just add a comment to this post with the right answer to be eligible to win! The winner will be announced on Friday, March 25. Entries must be received by midnight on Thursday, March 24. Guys save $10 every Monday. Women, save $10 every Tuesday. Guys save $10 every Monday. Women save $10 every Tuesday. Guys get $10 off on Mondays; Ladies receive $10 Off on Tuesdays if they use the Facebook offer! Yay TEAM XEX! Guys get $10 off on Mondays. Women get $10 off on Tuesdays.